2019 Honda Fit EX CVT 1.5L I4 FWD Recent Arrival! ** NEW Honda** This Silver Fit is everything you're looking for! And you know Honda makes great cars! > Smart consumers like you are traveling 50, 100, and 200 miles to Yakima to make a vehicle purchase that is Fast, Fair, Fun and Transparent! Our Bottom Line Price includes all national incentives (in lieu of special APR or lease rates). 2019 Honda Civic Sport CVT 2.0L I4 DOHC 16V i-VTEC FWD Recent Arrival! ** NEW Honda** This White Pearl Civic is everything you're looking for! And you know Honda makes great cars! 29/37 City/Highway MPG > Smart consumers like you are traveling 50, 100, and 200 miles to Yakima to make a vehicle purchase that is Fast, Fair, Fun and Transparent! Our Bottom Line Price includes all national incentives (in lieu of special APR or lease rates). 2019 Honda Civic Sport CVT 2.0L I4 DOHC 16V i-VTEC FWD Recent Arrival! ** NEW Honda** This Crystal Black Civic is everything you're looking for! And you know Honda makes great cars! 29/37 City/Highway MPG > Smart consumers like you are traveling 50, 100, and 200 miles to Yakima to make a vehicle purchase that is Fast, Fair, Fun and Transparent! Our Bottom Line Price includes all national incentives (in lieu of special APR or lease rates). 2019 Honda Civic Sport CVT 2.0L I4 DOHC 16V i-VTEC FWD Recent Arrival! ** NEW Honda** This Gray Civic is everything you're looking for! And you know Honda makes great cars! 29/37 City/Highway MPG > Smart consumers like you are traveling 50, 100, and 200 miles to Yakima to make a vehicle purchase that is Fast, Fair, Fun and Transparent! Our Bottom Line Price includes all national incentives (in lieu of special APR or lease rates). 2019 Honda Civic Sport CVT 1.5L I4 DOHC 16V FWD Recent Arrival! ** NEW Honda** This White Orchid Civic is everything you're looking for! And you know Honda makes great cars! > Smart consumers like you are traveling 50, 100, and 200 miles to Yakima to make a vehicle purchase that is Fast, Fair, Fun and Transparent! Our Bottom Line Price includes all national incentives (in lieu of special APR or lease rates). 2019 Honda HR-V LX CVT 1.8L I4 SOHC 16V i-VTEC AWD Recent Arrival! ** NEW Honda** This Lunar HR-V is everything you're looking for! And you know Honda makes great cars! 27/31 City/Highway MPG > Smart consumers like you are traveling 50, 100, and 200 miles to Yakima to make a vehicle purchase that is Fast, Fair, Fun and Transparent! Our Bottom Line Price includes all national incentives (in lieu of special APR or lease rates). 2019 Honda HR-V LX CVT 1.8L I4 SOHC 16V i-VTEC AWD Recent Arrival! ** NEW Honda** This White Pearl HR-V is everything you're looking for! And you know Honda makes great cars! 27/31 City/Highway MPG > Smart consumers like you are traveling 50, 100, and 200 miles to Yakima to make a vehicle purchase that is Fast, Fair, Fun and Transparent! Our Bottom Line Price includes all national incentives (in lieu of special APR or lease rates). 2019 Honda HR-V LX CVT 1.8L I4 SOHC 16V i-VTEC AWD Recent Arrival! ** NEW Honda** This Black Pearl HR-V is everything you're looking for! And you know Honda makes great cars! 27/31 City/Highway MPG > Smart consumers like you are traveling 50, 100, and 200 miles to Yakima to make a vehicle purchase that is Fast, Fair, Fun and Transparent! Our Bottom Line Price includes all national incentives (in lieu of special APR or lease rates). 2019 Honda HR-V LX CVT 1.8L I4 SOHC 16V i-VTEC AWD Recent Arrival! ** NEW Honda** This Silver Metallic HR-V is everything you're looking for! And you know Honda makes great cars! 27/31 City/Highway MPG > Smart consumers like you are traveling 50, 100, and 200 miles to Yakima to make a vehicle purchase that is Fast, Fair, Fun and Transparent! Our Bottom Line Price includes all national incentives (in lieu of special APR or lease rates). Looking to buy or lease a new Honda? 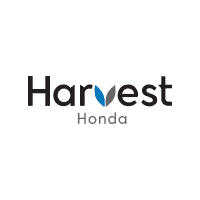 Come to Harvest Honda for the best selection of new cars, SUVs, & trucks. Our Honda dealership near Ellensburg & Union Gap has the greatest selection of competitively priced Honda vehicles in the area. From the award-winning Honda Accord to the multi-purpose Honda CR-V, you’ll find the ride you’ve been dreaming about here at our Honda dealership in Yakima, WA. Have good credit? Be sure to give us a call about our low interest rates for automotive loans in Washington. And even if you have bad credit, we’ll do our best to package together a finance deal that works for you. Are you a looking to get a deal on your next new car? Check out our new Honda specials to see what models are marked down this month. If you’re still looking to pay less, a certified pre-owned Honda may be the car of your dreams since you still get the comfort of a fantastic warranty package. Whatever it is you’re after, you can rely on Harvest Honda to have the perfect car or SUV for you. At Harvest Honda in Yakima, our inventory is always priced to sell. Our wide selection of new vehicles has the perfect commuting car or all-purpose SUV for your needs. After you find the right new Honda, we’ll work with you to get the best value for your trade and bundle together the best financing deal in Central Washington. For more information about our current inventory, or to schedule a test drive with us, be sure to contact us online or to call the Harvest Honda team at (509) 575-1090!